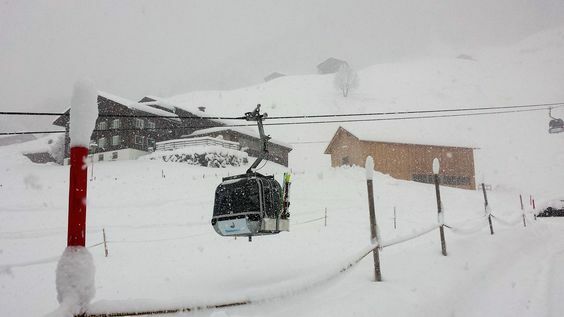 The last 24 hours brought a substantial amount of fresh snow to nearly all parts of the Alps and the Pyrenees. 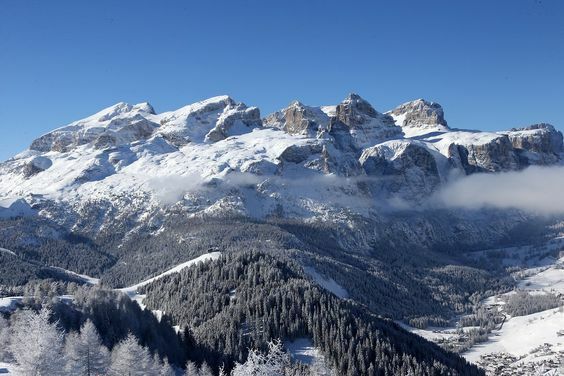 Some of the biggest snowfalls have been recorded in the Dolomites where 40-70cm of snow has fallen in ski resorts such as Arabba, Livigno and Cortina. 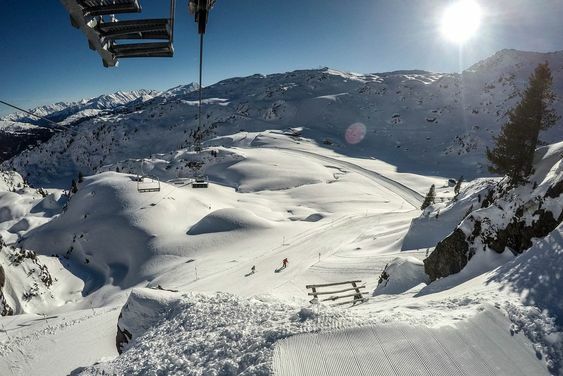 The central and southern Austrian Alps have also got their fair share, with 50 to 60cm of fresh powder reported in Mallnitz, Hermagor and on Obergurgl. 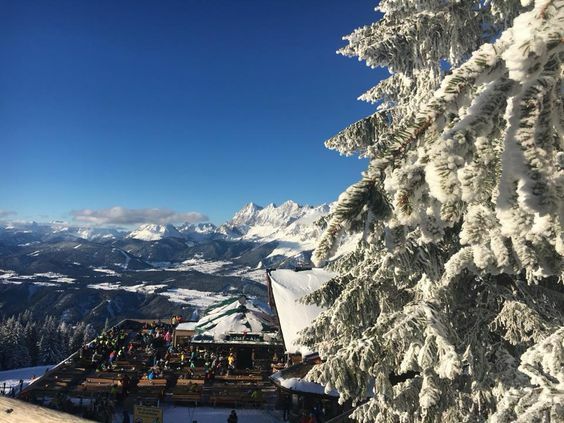 Elsewhere in the Alps there has been 40 to 50cm of fresh snow for the Portes du Soleil, the Mont Blanc region, Paradiski and Verbier. Even the Pyrenees have been covered in a thick blanket of white too. In some parts like the Pyrenees and the French Alps, there's more snow to come before it turns much milder over the weekend. The weather in the Alps appears to be entering another unsettled spell -unlike recent seasons when the Jetstream stayed either North or South of the Alps- the Jet Stream seems to be running across Central Europe and is forecast to stay there for a while. This means that we can expect a sustained spell of unsettled weather. 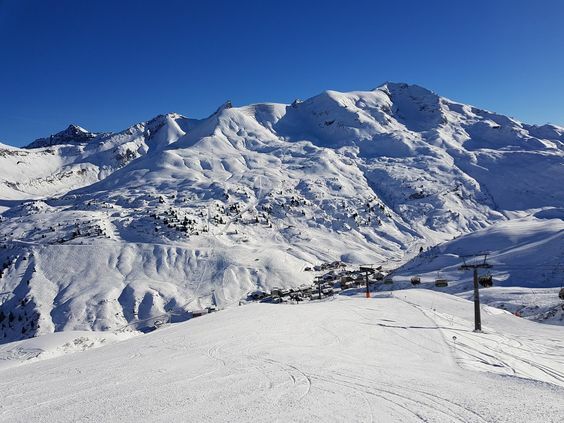 Friday will start sunny for most but the next weather front will soon arrive from the west bringing snow to the French and western Swiss Alps by the afternoon. Because it's still cold in the valleys it will snow deep into the valleys, but the snow line rises rapidly to 1000m in the course of the afternoon and evening. On Saturday another active front will approach the northern and western Alps, this time a warm front which will send the rain/snow limit to around 1800-2200m in parts of the French, Swiss Alps and western Austrian Alps (less so further east) as the day progresses. Pockets of cold air remain in the Val d'Arly, the valley d'Arve (Argentière, Chamonix), Beaufortain, Tarentaise and Haute-Tarentaise where it will snow at low altitude for a while (700/1000 m). In the afternoon the limit is already between 700m in Styria and 2000m in Vorarlberg. The strong northwest wind is also an issue. The wind is stormy at best and in exposed locations there will be heavy storm gusts and gale-force gusts. So there will be lift closures at times and potentially it may effect infrastructure more generally where the snowfall is especially heavy. 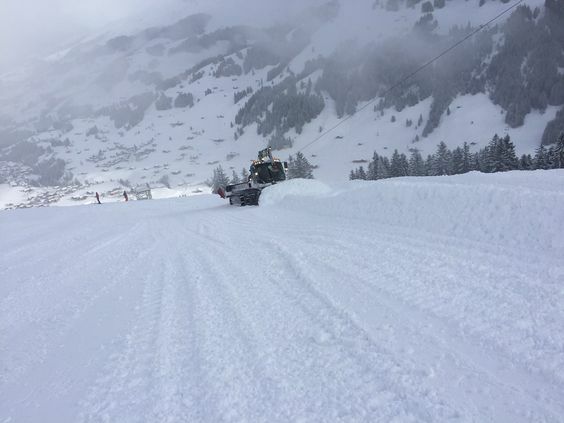 Avalanche risk will rise considerably as the fresh snow and snow drift accumulations are poorly settled on top of the 'old' snowpack. In the Hautes-Pyrénées the avalanche risk is 4/5 at the moment already. Between Thursday- and Saturday evening, the areas set to see the heaviest precipitation are the northern French Alps (roughly north of Alpe d’Huez, Les 2 Alpes), the western Swiss Alps (west of a line between Zurich and the Italian border) and perhaps the extreme north-west of Italy (Courmayeur, La Thuile). 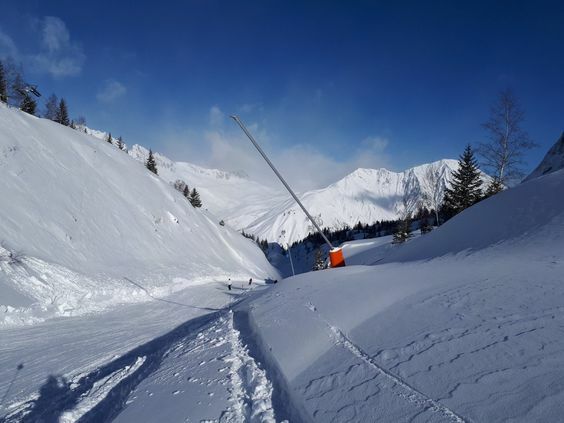 65 to 90cm of fresh snow from Grandes-Rousses to Mont-Blanc via Belledonne and Beaufortain, but locally 1 meter on the highest combes of Aravis and Haut-Giffre. 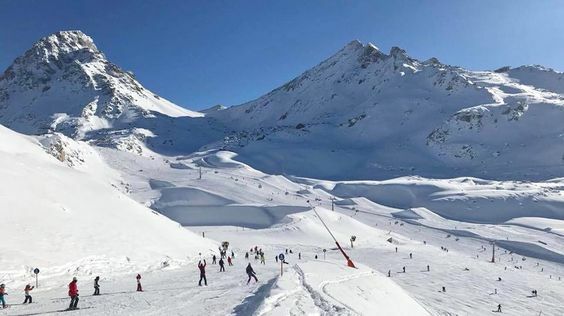 45 to 70cm of fresh snow from Oisans to the Haute-Tarentaise through the Vanoise, the Tarentaise. 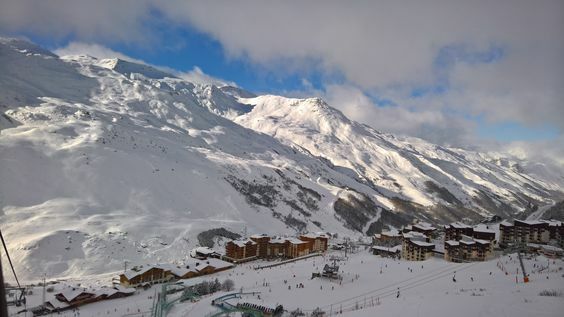 30 to 50cm of fresh snow from Ecrins to Haute-Maurienne. On Sunday, some rain falls east of Salzburg. By noon, dry conditions prevail everywhere. Starting from the western and southern mountain ranges, the sun shows itself more and more often, in the afternoon only harmless clouds exist in the sky. The westerly wind remains striking, especially in the northern Alps, and is blowing in gale force here. It will be extremely mild at the end of December, reaching around -2 degrees in 3000m. It is almost spring-like at 2000m altitude, the temperatures rise to 6 to 8 degrees. Only in East Tyrol and Carinthia it stays colder. Sunday will see a return to mostly fine but very mild weather in the Alps before the next series of storms roll in from the west on Sunday night and continue into next week. 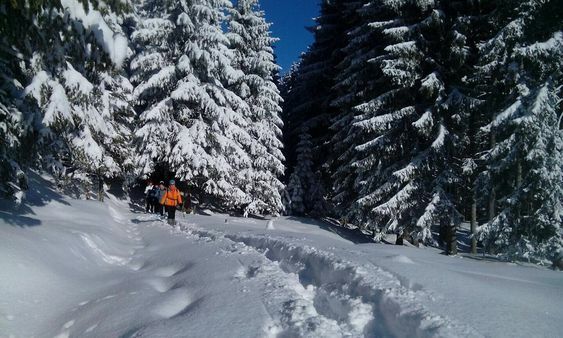 Expect further heavy snow and extreme avalanche danger, especially in the north-western Alps. GFS shows a system from the NW coming over the Alps, bringing snowfall to most of the Alps on the 11th, before moving out on the 12th. Heaviest snowfall is expected in the Western Alps for this scenario. EPS Control shows light snow showers in parts of the French Alps during this period, but shows no form of large system. The first half of January now looks like a repeat of Mid December with a series of storms and frequent snowfall. This will be interspersed with occasional sunshine. So this looks good for powder days in January. As far as we can see, this continues until at least 12th January and maybe for longer.